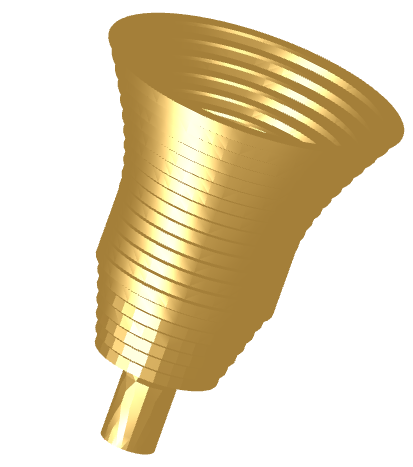 Image of the Gaussian-profiled corrugated conical horn. The Gaussian-profiled corrugated conical horn antenna uses a combination of flare sections to improve the performance of the standard linear corrugated conical horn. 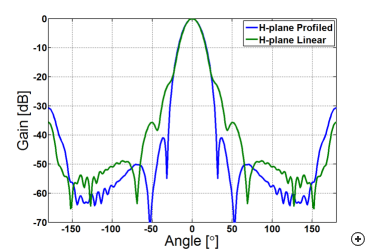 The horn comprises of a circular waveguide section that transitions through a smooth linear section into a linear corrugated section, acting as a mode converter, followed by a straight phasing section, which in turn feeds into the Gaussian profiled section. 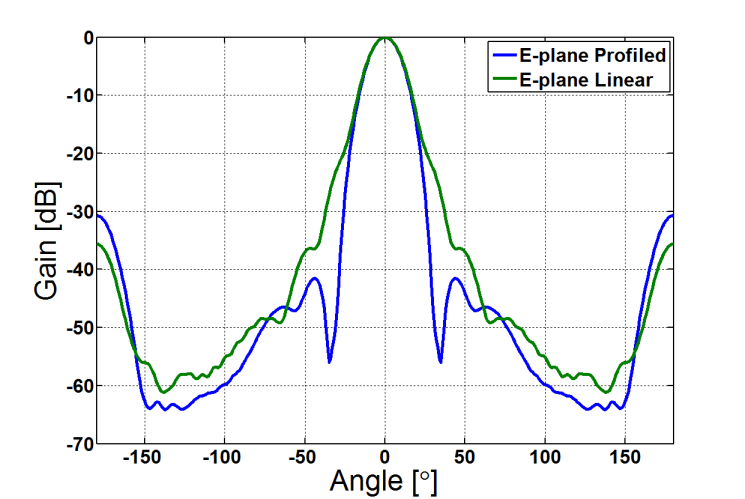 At higher gain levels it is more compact and has better performance than its linear counterpart. 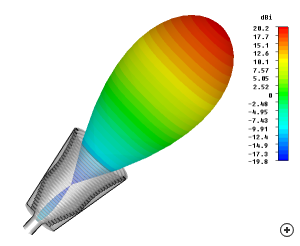 Since the flare angle at the aperture is zero, the horn radiates with the highest possible gain and efficiency, while achieving a low level of cross-polarisation. The phase centre also does not change with frequency. [Olver] For lower gain cases (< 20 dBi), the profiled horn described here is larger than the standard linear case, due to the overheads of the various sections that make up the overall flare. 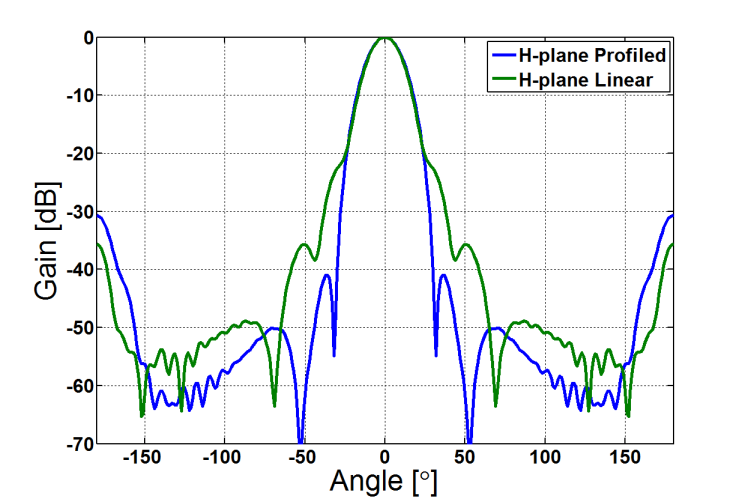 The sidelobe level is generally below -40 dB at the center frequency, with a reduced performance in the upper regions of the frequency band. 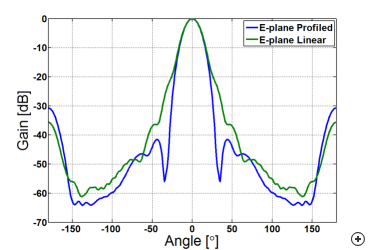 The advantages do carry a price, namely that of increased co-polar sidelobes due to the excitation of higher order modes, although this is generally only at frequencies in the upper portion of the band.